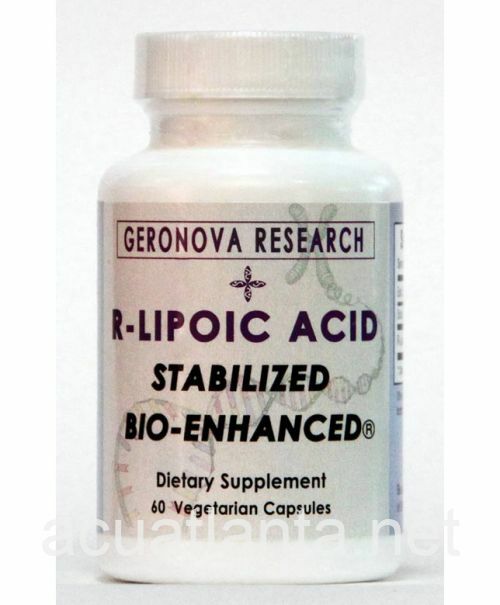 R-Lipoic Acid Stabilized Bio-Enhanced is the most active form of alpha lipoic acid (ALA). ALA is a naturally occurring antioxidant found in the mitochondria and has the ability to improve glucose control and restore insulin sensitivity. ALA is often used for its anti-aging properties supporting normal cognitive function, heart function and energy levels. The stabilization process of R-Lipoic Acid Stabilized Bio-Enhanced is a natural "R" form to sodium R-lipoic, shown to achieved 40 times higher peak blood levels than pure R lipoic acid.